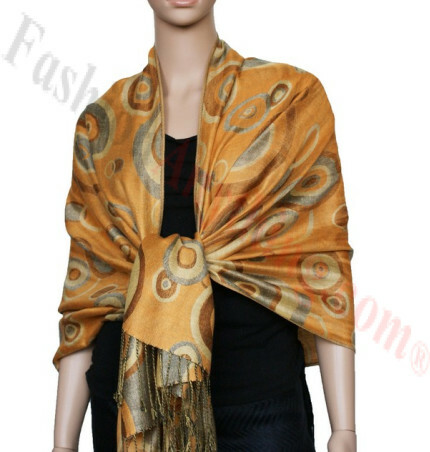 Jacquard Pashmina with Geometric Colored Circle Pattern. A luxurious pashmina is the perfect fashion accessory for any season. Size appox: 28" x 70" with Fringes.